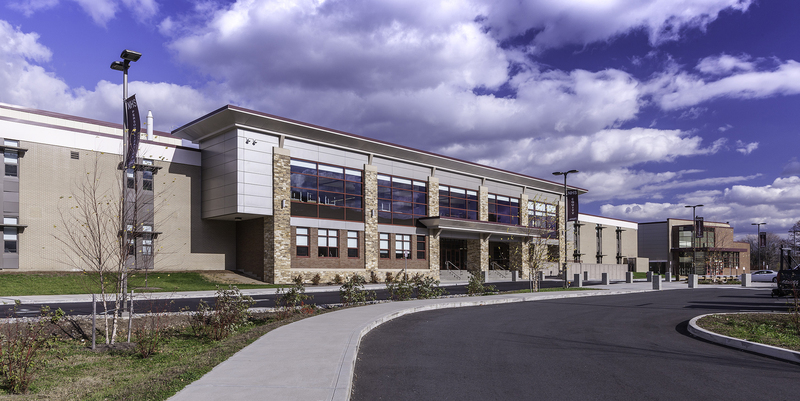 O&G Industries, Connecticut’s largest privately-held construction company and the State’s top school construction manager, recently completed the renovation and addition to Naugatuck High School in Naugatuck, Connecticut. O&G acted as the Construction Manager for this fast-tracked $69 million project which kicked off in April 2013. The project included a four-phase renovation and addition to the occupied school facility and adjacent athletic fields. Each of the four phases was divided into four distinct sub-phases, totaling 16 distinct phases to meet this aggressive schedule. 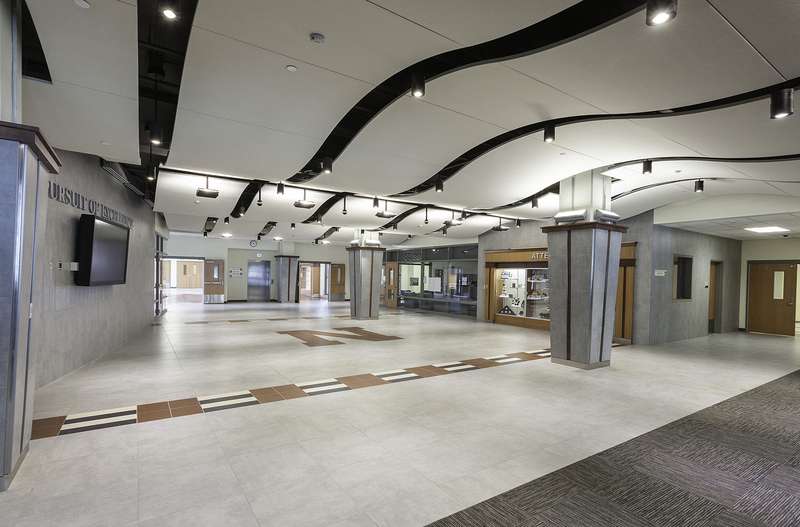 The project featured a 311,000 square foot renovation of the nearly 60-year-old facility to meet modern academic requirements and mechanical and operational standards, as well as to ensure continued health and safety of the students and faculty. Additionally, 29,000 square feet of new additions were constructed to increase space for educational programming and Board of Education offices. The newly-renovated facility includes the expansion of traditional classroom space, in addition to contemporary learning spaces for science-based educational and applied learning programs such as culinary arts. The School’s auditorium, pool, locker rooms and two gymnasiums were also renovated as a part of the project. O&G joined Project Architect Kaestle Boos Associates on the Naugatuck High School project which was turned over to School officials in late 2015.